the length of our stay in Manitoba this last year enabled us to have multiple public sales (2) and also to sell out of the house for a long stretch of time. because it was just before Christmas and that seems to be when people buy the most stuff. because of the highly! talented! events planner i teamed up with for the October sale who made the event so spectacular. And, because of the very supportive friends, family, and strangers who purchase Distaff products. Of the money that was made during this furlough season I gave a sizeable chunk to our church in Antananarivo as a tithe, and because they do excellent work helping the poor, which is part of Distaff‘s mandate. I did not, however, dictate that TCC should funnel Distaff money to the poor, but to use as they discerned was wise. (Because, friends, when we give God our money, we let it go). Below I have outlined (at length) how we have distributed Distaff funds – given generously by you – in the last 6 months. Onja, who you may remember from previous posts, showed up at my door in February to ask for help for the seizures she was experiencing. I sent Onja to one of our friends and partners here in the city, Fianana Be de Be (FBDB), who gave a consult sent her for blood tests (a Distaff expense ca. 25$) and prescribed some medication to help with the seizures. Long story, and a few check-ups later, Onja seems to be doing well. She was just at my house last week checking in and asking for funds to do the follow-up blood work (25$). FBDB doesn’t charge (me) for the doctor consultations for those i send to their office, so the only costs were the blood work and medication (10$x2). Medication prescribed by a doctor i trust (like those at FBDB) is a cost i feel is confident paying for. There are many poor people on the street with prescriptions in hand begging for aid to pay for their meds. Meds that I’ve heard from others are not necessary and prescribed by cuckoos in some cases. Onja also brought along her 3rd daughter (of 4), Sarah (6), who has battled with communicating and therefore with school since we met her in 2014, two years ago. This last March Onja and Sarah began seeking answers for Sarah’s difficulties in speech. Based on recommendations from a professional friend (Anri-Louise, of Growing the Nations Therapy) I refered Onja to the Christian Blind Mission (CBM) office nearby (based at the Lutheran Hospital in Ambohibao/Andranomena). They have a hearing clinic where Sarah was tested accurately for deafness. This test was approximately $30CND. With this result in hand I sent Onja to the School for the Deaf located in 67Hectare to see what she could find out about getting Sarah into a school that would work with her hearing impairment rather than ban her from getting an education like her previous elementary school. I was very clear to explain to Onja that if she could get into the school for the deaf and was happy with the arrangements I would gladly pay the tuition costs with the funds made available through Distaff & Spindle sales. Education is a life changer; it would be a true shame if Sarah was denied this opportunity simply because she has hearing issues. This last week when Onja came to suss out her own follow-up appointments with FBDB, she updated us on where they were at with the schooling options. As i understand, the School for the Deaf invited the school where all Onja’s 3 school-aged daughters attend to send a teacher along with Sarah to be trained in how to teach/learn with a hearing difficulty. Apparently there are other students from the same school (class?) who share her struggle. At the moment Sarah, her peers, and a teacher from their school are attending the school for the deaf for this training, with a plan to begin in their own school (where Sarah’s sisters attend, more accessible to where Sarah lives) in the new school year. Frankly, i was flabbergasted by the genius of this solution! Wow. Not only does this solve the problem of schooling, make it accessible to Sarah and her family (they don’t need to continue bringing her so far away for school as they live quite far from 67Hectare where the School for the Deaf is located), but she can be together with her sisters and friends located in their area AND this option is free! Egad. That is, the school will not charge Sarah’s family for the cost of this special arrangement. Nor is the School for the Deaf charging the family anything to train a teacher or Sarah in how to learn in this way. The tuition fee for Sarah, at her home-school, will be the same as her sisters’. Onja and her husband are able, they say, to pay this cost themselves (which is also impressive to me – i don’t want to become a hand-out counter for things families are able to cover themselves). She didn’t even broach the subject of me paying for anything. While i am thrilled to be able to partner with families who are financially poor to increase quality of life for them and their children, it’s even more thrilling to have a solution work itself out in a way that is sustainable long-term without me. Because i may not be here forever. I want for these families to thrive even after me and the Distaff resources are gone. I also made a sizable contribution to Anri-Louise of Growing the Nations Therapy program towards their ministry with the very poor. She does amazing work. It’s quite mind-blowing, actually. I’d recommend looking through her photos and videos she has posted on the Growing the Nations Therapy Program Facebook page. Then, another neat story: Irene, the lady who works in my house in the mornings (you may remember her from past posts) and whose children Distaff supports for school, asked me if she could borrow some money to send her adopted son Adrien to the bush where his birth mom and grandma live (near Ambatondrazaka) because his school was breaking for holidays and if he stayed at home during the break Irene’s in-laws would treat him very poorly, forcing him to fill and the huge and heavy water containers every day, and clean up all the dog poo from her brother-in-law’s dog-breeding business. They are also physically mean to him, as I understand, especially if Irene or her husband are not around. Irene proposed to send Adrien (8) to Ambatondrazaka on the taxi-brusse (a 12ish hour bus ride) alone as she didn’t want to borrow more money to pay for another ticket to accompany him, and because a cousin of hers drives the bus she thought Adrien would be ok to travel alone. I vetoed that idea. ha. Insisting that she should take some days vacation time and money enough from Distaff to cover the cost of the trip for the both of them we made arrangements for them to leave the following Saturday. That evening i asked Josh (husband/MAF Pilot/MAF Operations Manager 😉 ) if there was by any chance a MAF flight going in the direction of Ambatodrajaka that the two could hitch a ride with, hoping maybe, miraculously, that she could postpone the trip a week simply to save themselves the arduous bus ride. Turns out Josh was flying that same Saturday to that exact location with enough space for the two of them to come along. Josh picked up the tab for their flight and both Irene and Adrien had the chance to fly in an airplane for the first time in their lives! (That trip was 25 minutes instead of a 12hour taxi-brusse ride) 🙂 What a great end-of-school gift for that little guy! Would have been great to get a photo of that, but i didn’t remember to remind Josh to do so until after he had already dropped them off. Distaff paid for the return-trip bus fees ($15×2) for Irene and Adrien (who will return after a few months), as well as investing in the rice-planting costs of her mother (Adrien’s grandma) and family (75$). August, Irene paid school fees with Distaff monies ($60 total, for both school aged children). And that’s where we’re at to date. While this post is already quite long-winded, let me make some personal observations. 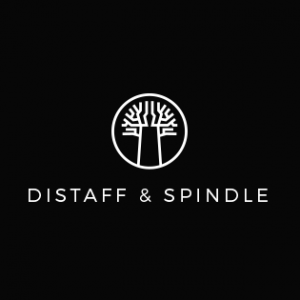 Distaff and Spindle is able to make small, but life changing, investments into the lives of the poor we have a relationship with because of the generosity and support of people who buy our beautiful Madagascar-made products, but also because of the ministries we are aware of here in Tana. The longer I’m in Madagascar the more I realize how ‘wealthy’ we are even apart from money because we know the right people who can – and want to – help. Resourcing information for others is a huge gift that is, in many cases, free. I am so thankful to know, and be friends with, skilled professionals like the doctors at FBDB and Anri-Louise and her Occupational Therapist volunteers at Growing the Nations Therapy. I’m thankful for organizations like Christian Blind Mission who offer not only eye/vision services, but also hearing services. And for in-country resources that i have no personal contact with, like that of the School for the Deaf in 67Hectare. I do hope that the set-up they’ve put in place for Sarah and the other children like her in their own home-area schools are as fabulous as they sound. To God be the Glory for all these good gifts. And, what a privilege to be a part of this sort of ministry even in simply directing people in the right (quality) direction, and offering the means to access the help they need.